The Revival of the Bluetooth Earpiece? Let us get two things clear, I am not working on Wall Street and I am not a "douchebag", but I have a Bluetooth earpiece. Do Wall Street people even wear a Bluetooth earpiece? Anyways, while not as popular as in years past, I do believe there is value in these earpieces. I recently got a Plantronics Bluetooth earpiece for $30 at Costco. And by "I got it" that means that I accompanied my dad to Costco and threw the Bluetooth earpiece in the cart. And since I do not have a Costco membership, pops had to pay to for it. Thanks dad. After using the earpiece for 7 days, I firmly believe more people should be using Bluetooth earpieces. The main reason I got the earpiece was to drive and talk on the phone with a peace of mind. 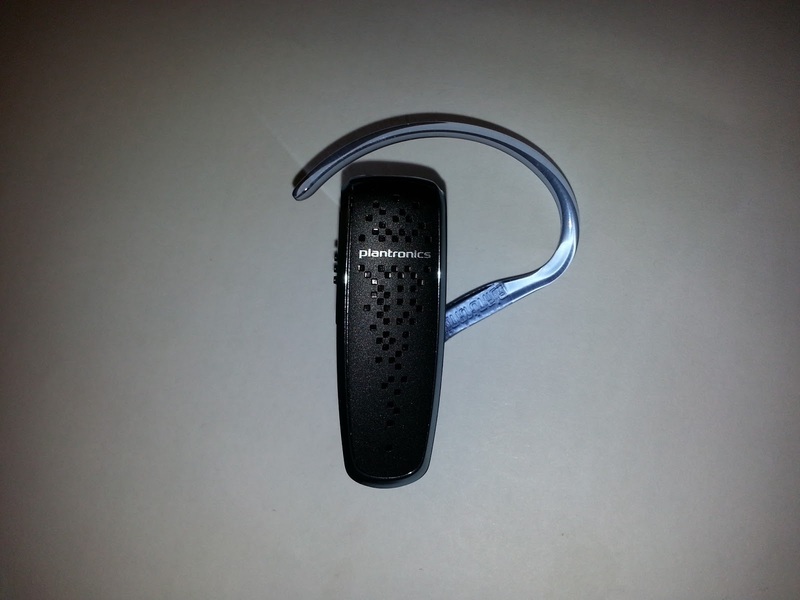 With a Bluetooth earpiece you are able to easily answer a call while driving. Making a call is a little tougher because it depends on how good your phone picks up your voice, but it is still better than using the speaker function on your phone or a wired headset. The only people who will not benefit from this are those that have Bluetooth built into their cars. However, there are many more reasons to have a Bluetooth earpiece! For me, I also wear the earpiece at work. I can have my phone on silent and my Bluetooth earpiece will still make a noise if a call comes in, that way I will not miss incoming calls. It is true that my wife is the only one that calls me and it is usually once a day, but I do not want to miss that call. Without the Bluetooth earpiece, I am constantly turning on and off my phone depending my environment. Then I occasionally forget to un-mute my phone which forces me to miss "calls". Another benefit of the Bluetooth earpiece is that you can listen to music. It is not the best quality, it is just a bonus. Five years ago I tried my first Bluetooth earpiece, it cost me about $45 from Motorola. This was when I had a dumbphone, when most people had a dumbphone. The phone battery would die after only 20 minutes of talk time with the Bluetooth. And if I did not talk, but was connected to the Bluetooth with my phone also known as "pairing", my phone battery would die after one hour. The battery performance on newer phones has improved drastically when it comes to a Bluetooth signal, it is no longer an issue. The best part of being a Bluetooth earpiece owner is that these Bluetooth devices are cheap. Definitely cheaper than a ticket from the Los Angeles Police Department (LAPD) for driving while talking on the phone without a hands-free device! I encourage you to all try a Bluetooth earpiece, but I would not spend more than $50 for one. You might get made fun of by co-workers/friends, but remember they are just "jelly" aka jealous.